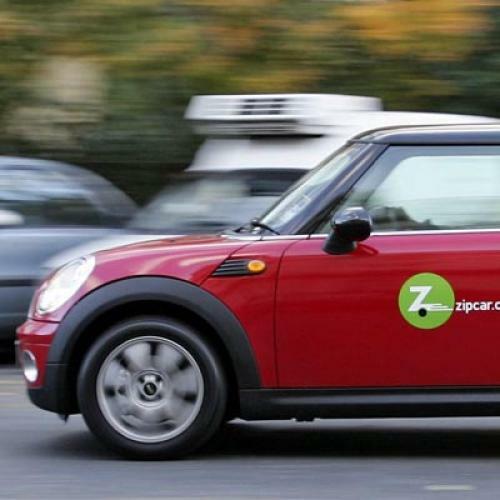 Since the first Zipcars appeared in Boston in June 2000, the company has grown by leaps and bounds, expanding throughout the United States, and even into Canada and the United Kingdom. The company now has a fleet of over 8,000 cars, and over 560,000 members. Yesterday, Zipcar held its IPO, and saw its share price shoot up 56% on a volume of almost 10 million shares. Questions still remain, though, despite the strong IPO: can the price hold up even though Zipcar has never turned a profit? And since Zipcar prominently advertises the environmental benefits of its cars, such as members giving up their own cars, does Zipcar actually get cars off the road? Well, Zipcar itself points to a market research survey from Frost & Sullivan, which estimated that each Zipcar removes fifteen privately-owned cars. The methodology, however, is unfortunately not publicly available. Regardless, The Study found a more recent, um, study. In March 2010, students at the University of California, Berkeley's Transportation Sustainability Research Center analyzed the results of a survey of over 6,000 American and Canadian carshare program participants. (A large percentage, though not all, were Zipcar members.) Although approximately half the respondents neither owned a car, nor would have bought a car without a carsharing program, "the average vehicles per household of the sample drops from 0.47 to 0.24. Most of this shift constitutes one-car households becoming carless." In addition, the shared cars were 10 miles per gallon more efficient than the cars new members shed because of services like Zipcar. The authors conclude "carsharing has taken between 90,000 to 130,000 vehicles off the road. This equates to 9 to 13 vehicles (including shed and postponed auto purchases) for each carsharing vehicle." No wonder Zipcar chose a green logo.